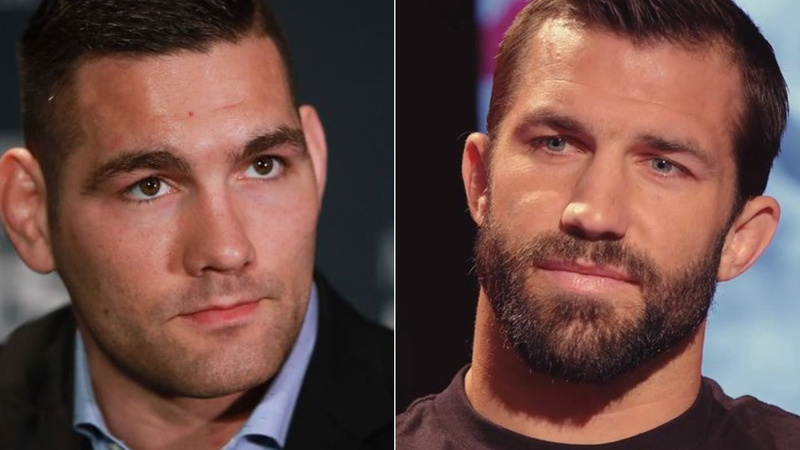 A rematch between former UFC middleweight champions Luke Rockhold and Chris Weidman is in works for UFC 230 PPV event on November 3 in New York. ESPN’s Brett Okamoto first reported the news of this matchup. The pair met back in 2015 in the co-main event of UFC 194, where Rockhold defeated Weidman via fourth-round TKO to becomes new middleweight champion. Before losing his title reign, Weidman successfully defended his strap three times. An immediate rematch entitled for UFC 199, but neck injury force Weidman out of the fight. Michael Bisping accepted the short notice bout against Rockhold and shocked the world by defeating him via first-round knockout. Weidman last fought back in 2017, where he scores a third-round submission win over Kelvin Gastelum, and that snapped a three-fight skid. A nagging thumb injury and recovery sidelined him for over a year. He holds notable wins over the likes of Anderson Silva (twice) and Vitor Belfort. Rockhold (16-4) last fought earlier this year, where he had a chance to win the interim title against Yoel Romero, but came up short via third-round knocked out. Currently, he is recovering from a shin injury he sustained in May. UFC 230 is set to take place on Nov. 3 at Madison Square Garden in New York. The main card will air on pay-per-view (PPV) following prelims on Fox Sports 1 and UFC Fight Pass.